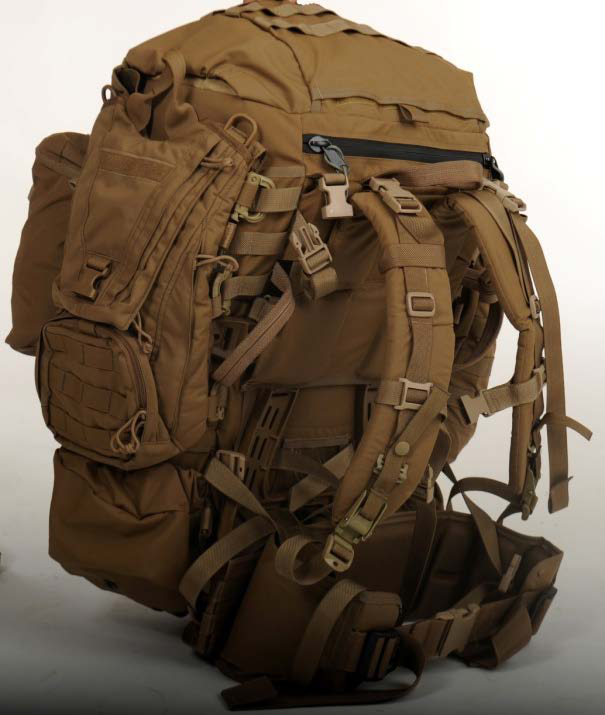 The USMC pack system is designed as a replacement for the standard ILBE pack system and is specifically intended to provide the Marine with a load carriage system that fully integrates with currently fielded body armor systems. can be converted into one large compartment by opening a slide fastener located on the shelf. 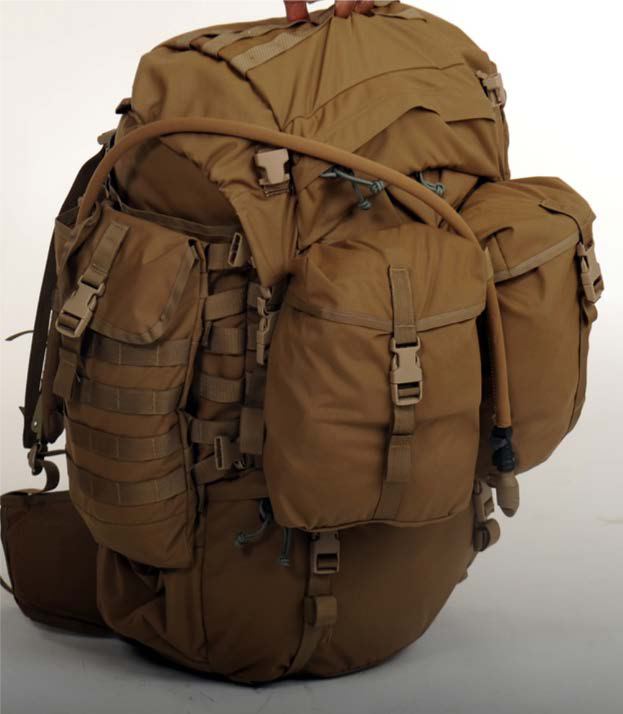 can be attached atop the main pack by four quick release buckles. Eagle Industries Unlimited, Inc. of Fenton, Mo.